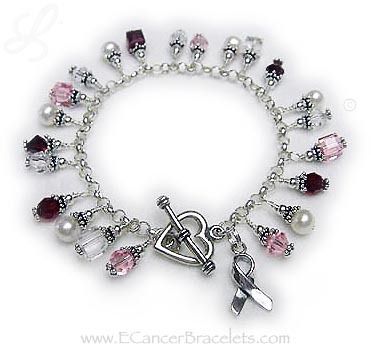 This survivor bracelet is shown with pink, clear and red crystals and freshwater pearls. You choose the crystal colors during the ordering process below. You also choose the toggle or lobster clasp. 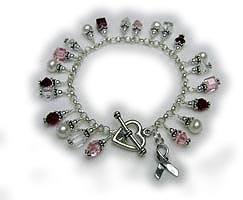 The toggle pictured is a heavy heart toggle clasp. 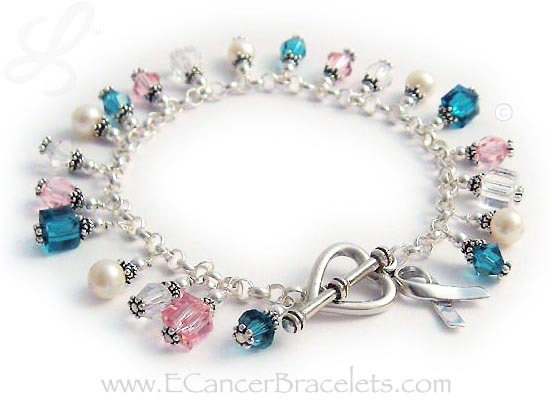 This bracelet comes with a sterling silver ribbon charm but you may add additional charms - see options below. Questions? 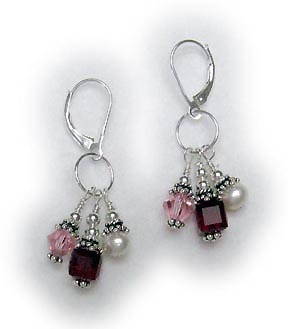 Colors: Garnet, Pink & Clear with heart toggle and ribbon charm. 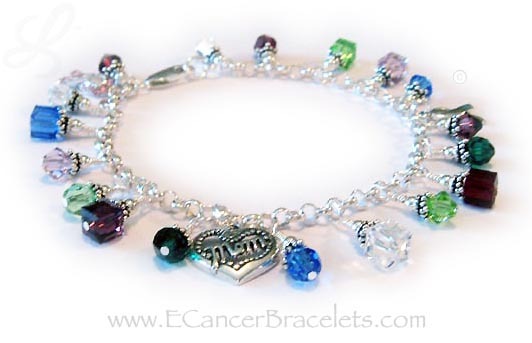 Shown with Blue, Purple, Light Purple, Green, Light Green, Clear and Dark Red Crystals. They added a MOM Heart Charm ($10).